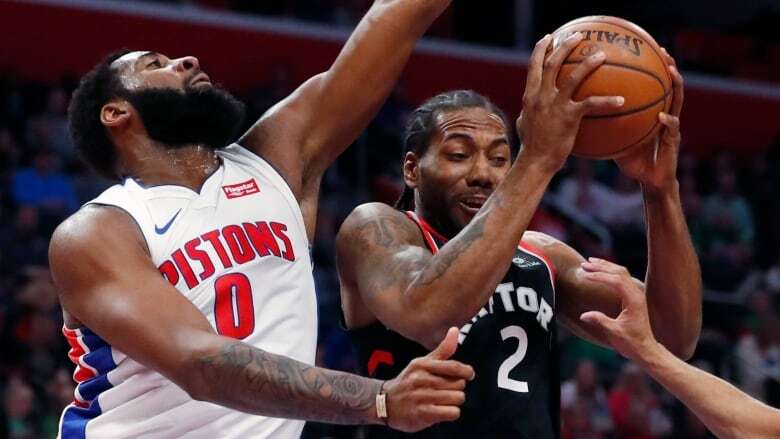 Blake Griffin scored 25 points, Andre Drummond had 15 points and 17 rebounds and the Detroit Pistons beat the Toronto Raptors 110-107 on Sunday to complete a season sweep. "Every game counts for us right now, because we are in a playoff race," Drummond said. "That's a team that's very, very good and we beat them three straight times, but we can't celebrate right now. We've got a lot more games to go and we need to finish strong." "Marc [Gasol] almost had a steal on the play when it was 100-100, but Drummond makes the two free throws, and then we turn it over on the next possession," Nurse said. "Drummond and Griffin made some big plays at the end."